I’ve been a bit remiss lately with my posts. I’ve been spending most of my time at the office so trying New Things has had to take a backseat for a while. Last Sunday I was able to sneak away for a few hours to try my hand at cheese making and drove north of Nashville to Standing Stone Farms to have a class with Paula Butler. Paula started by telling us the legend of how cheese was discovered. The story is that a man was traveling through the desert in the Middle East. He carried goat’s milk with him in a pouch made from the stomach of a calf. After his day’s journey he stopped to rest for the evening. When he opened the pouch, after a day in the desert heat, the milk had separated into curds and whey. He drank the whey and went to sleep. When he awoke the next day, he discovered the curds turned into cheese overnight. In order not to waste anything that could be valuable food, he tired the cheese, and the rest is history. 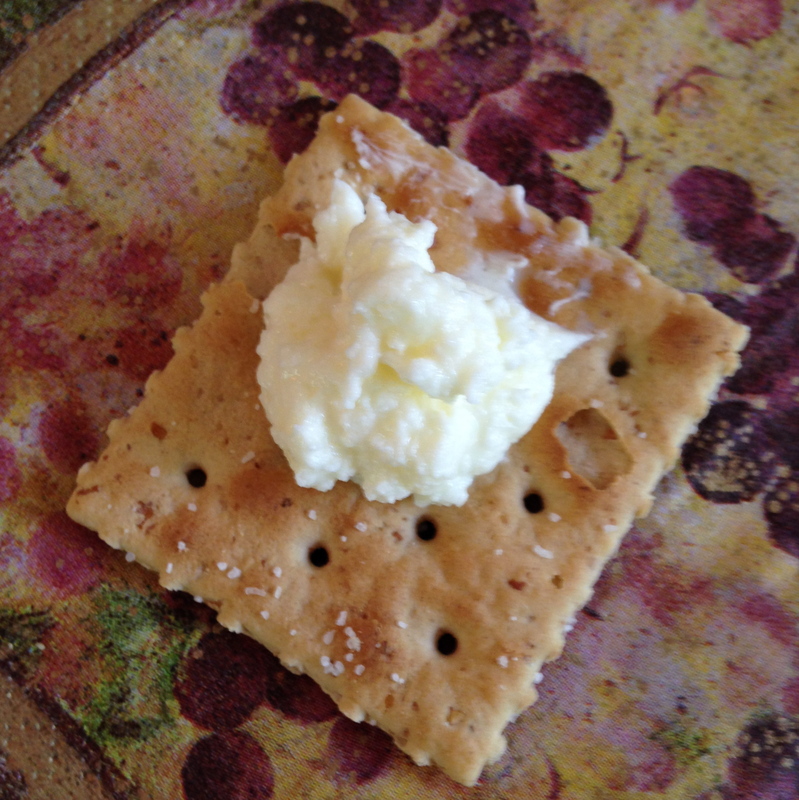 Once we got a short intro to the world of cheese, we began making delicious butter, mozzarella, and ricotta. Paula showed us a super simple way to make fresh creamy butter. All it takes is room temperature cream and an empty plastic bottle. Pour the cream into the bottle, up to 1/4 full, and give it hard shake about once per second until the butter starts to form. Eventually the buttermilk will separate. 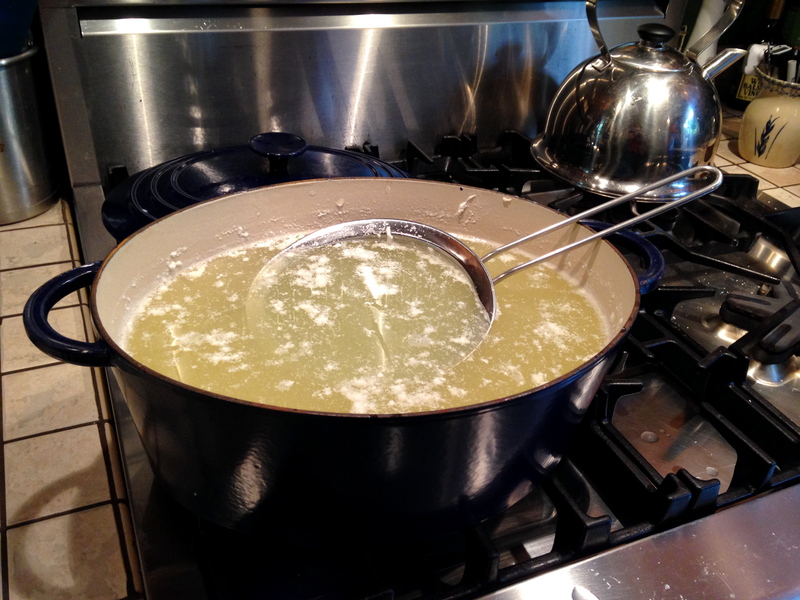 Pour out the buttermilk (into a colander and bowl if you want to keep it), and what is left over is the butter. Just cut open the bottle and, voilà, delicious homemade butter! It was the best butter I’ve ever had. It was light, creamy, delicious, and only took 2 minutes. I don’t think I’ll ever buy butter again. Yes, I’m eating butter with a spoon. Don’t judge. If you tasted it, you’d do the same. 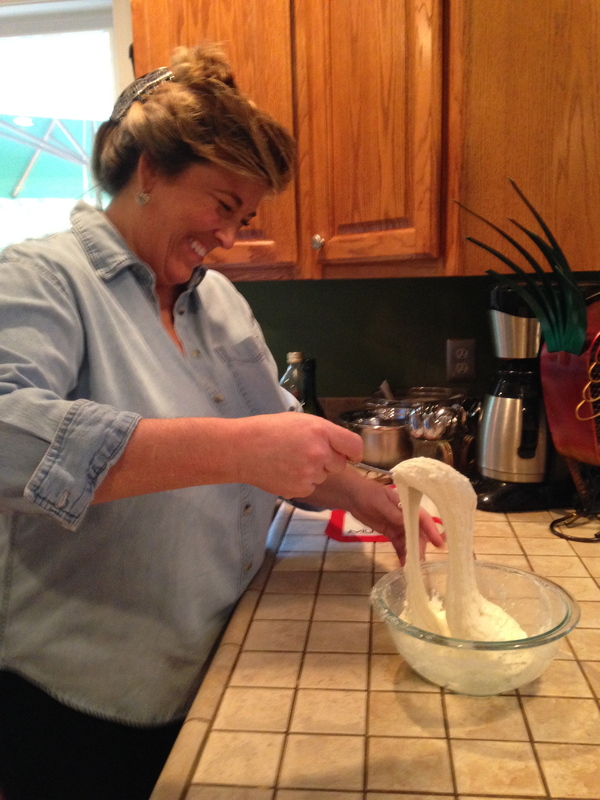 Next we moved on to a super fast mozzarella that you can make at home in about 40 minutes. To make the mozzarella, we used a gallon of whole pasteurized cow’s milk, citric acid powder, calcium chloride, liquid rennet, and salt. Rennet usually comes from the lining of a cow’s stomach (hence the story about how cheese was discovered above), but Paula, being incredibly awesome, uses vegetarian microbial rennet. I was pumped about this. After science does its thing, and all the curds are separated, you add salt and place the curds in the microwave for 1 minute at a time, and drain any extra whey. Apparently if you don’t drain the whey, the cheese won’t come together. 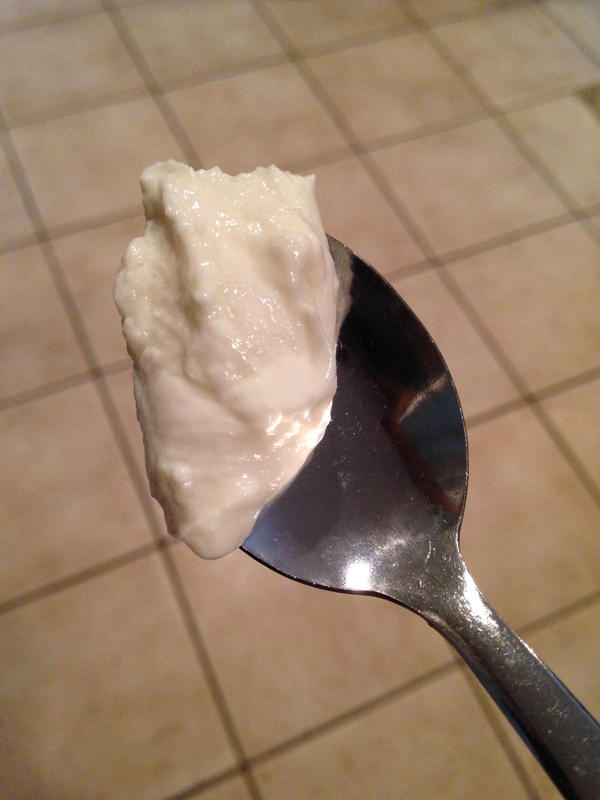 Once all the whey is gone and you have a solid pile of mozzarella, take a spoon to stretch and fold over until it becomes taffy like. From there, you can shape it into balls, pinwheels, or anything else you desire. The hot fresh mozzarella was so yummy. I couldn’t stop eating it. 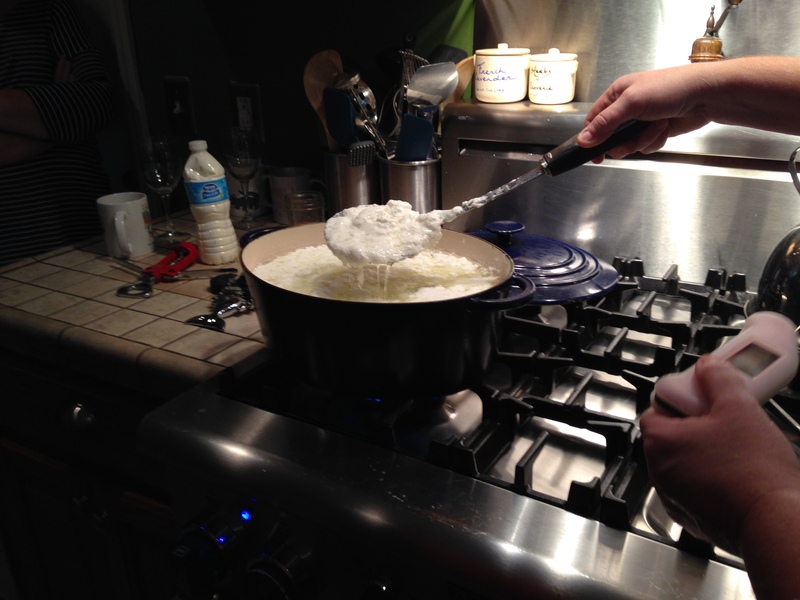 Finally, we made a delicious ricotta. 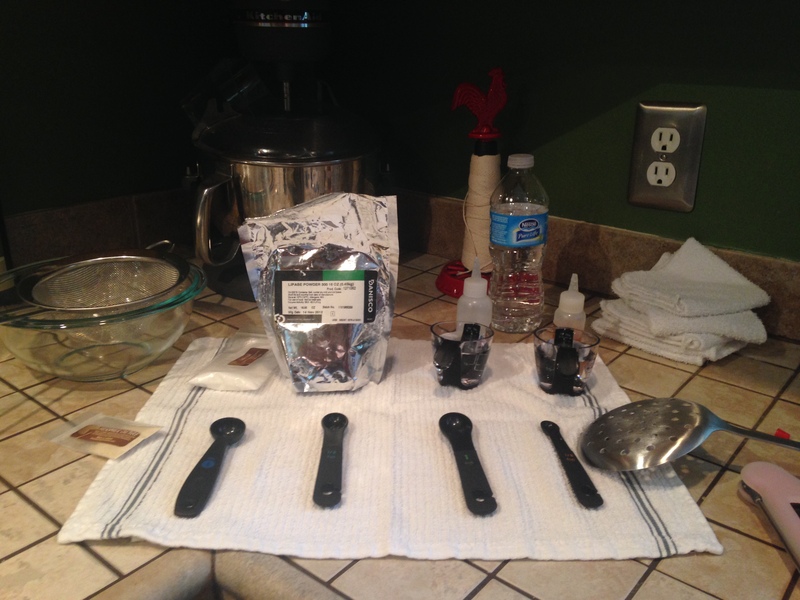 The ingredients were a gallon of whole milk (goat or cow), 1/2 cup heavy whipping cream, citric acid, and kosher salt. 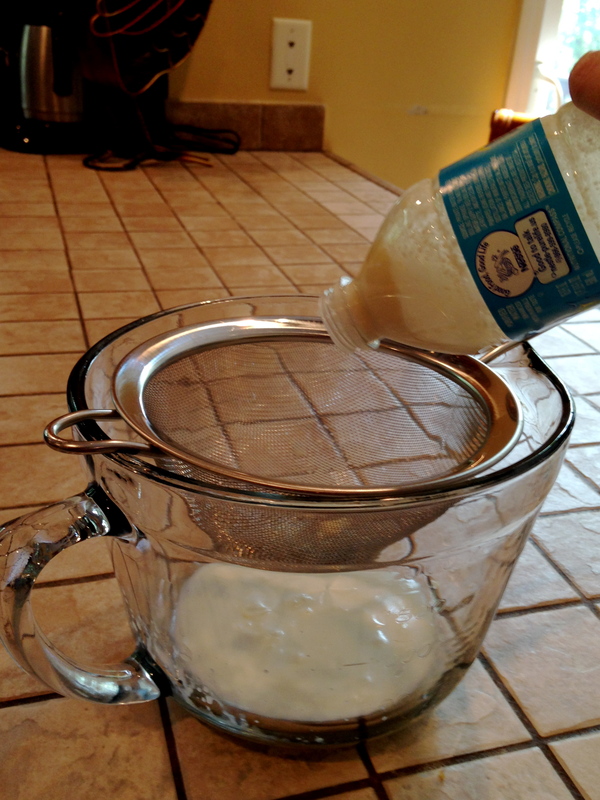 Combine the ingredients and heat milk to 184 degrees. You need to make sure to occasionally to scrape the curds off of the sides of the pots, otherwise it leads to hours of scrubbing or replacing your pots. Once it heats to 184, set it to the side for 15 minutes. 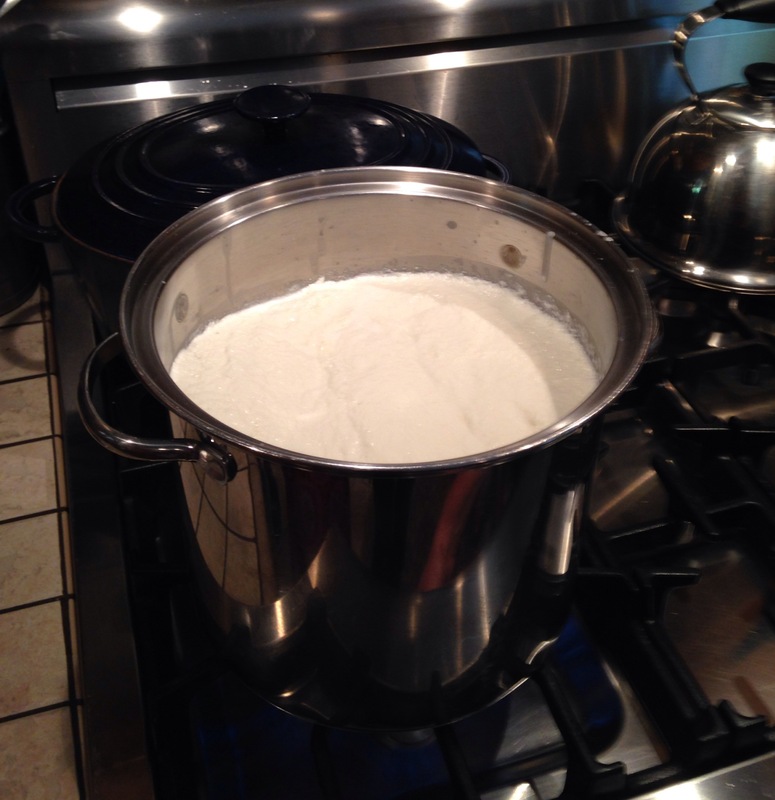 When it is done cooking, you have delicious fresh ricotta. We first tried it plain, which was warm, delicious, and creamy. Paula then suggested adding some hot sauce. What a brilliant idea. 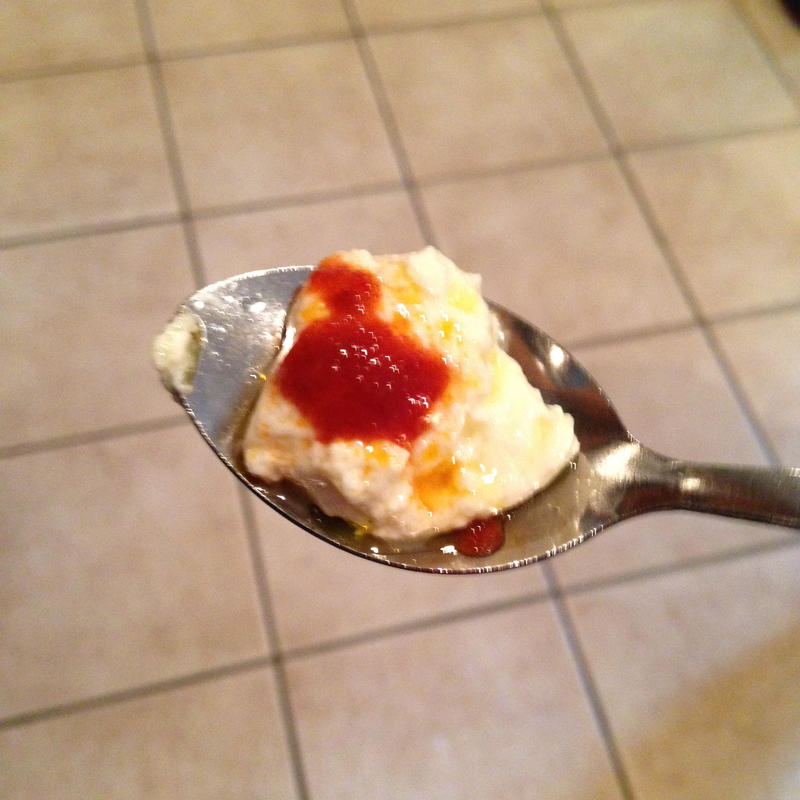 Cheese + hot sauce = life changing. 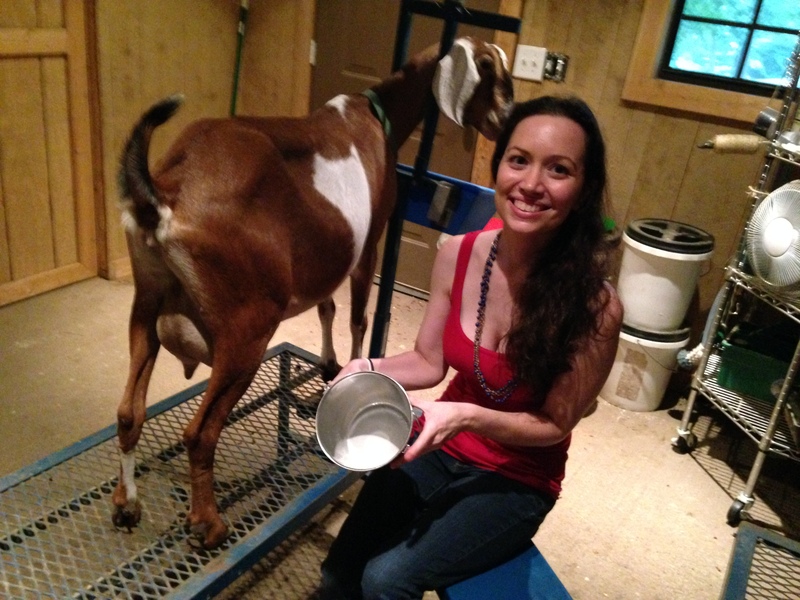 After the cheese making class, Paula took me out to meet her adorable goats. She started with 2 a few years ago, and has now worked her way up to a herd of 34. 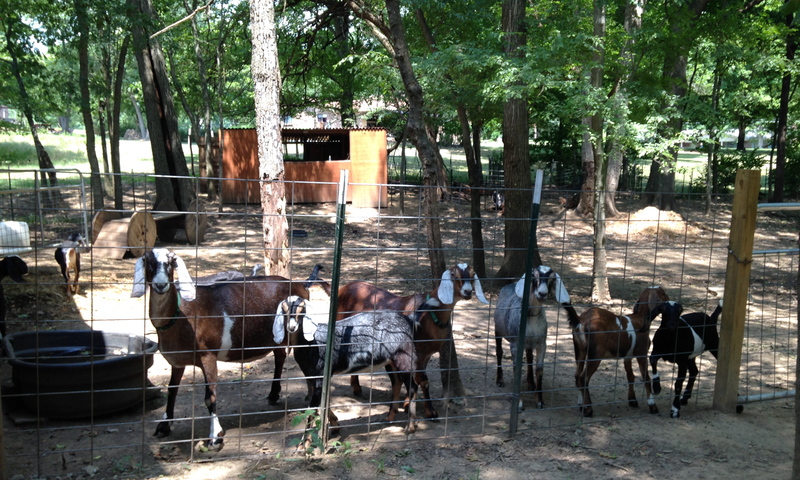 When she opened the door, the goats ran right up to their stands. 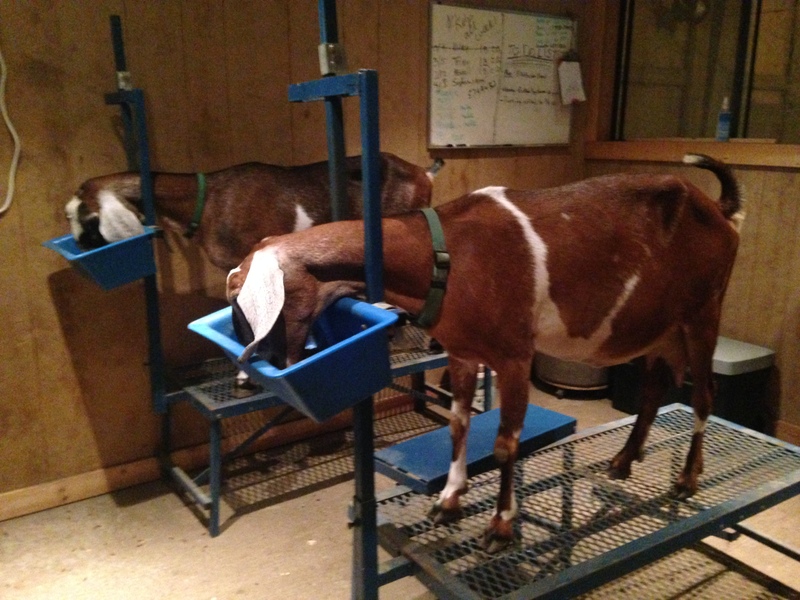 Apparently the goats are creatures of habit and know exactly what to do and the order in which they should be milked. Paula brushed down and then cleaned the utters to prevent anything from contaminating the milk. She showed me how to grip the utter and roll my hand down to get the milk. She said that this is different than the process for milking cows, but I’ll just have to take her word for it. Trixie (I think that was her name) wasn’t a fan of a newbie trying to milk her. After she protested, I stopped, but Paula encouraged me not to let the goat bully me. Which I found amusing. Succes! I milked 3 goats and only managed to get one of them angry at me. I’m not sure how much time I’ll have for cheese making anytime soon, but I do plan to make homemade butter from now on. For more goat stories, check out my post about goat yoga. It is so delicious! Try it out and let me know if you like it. 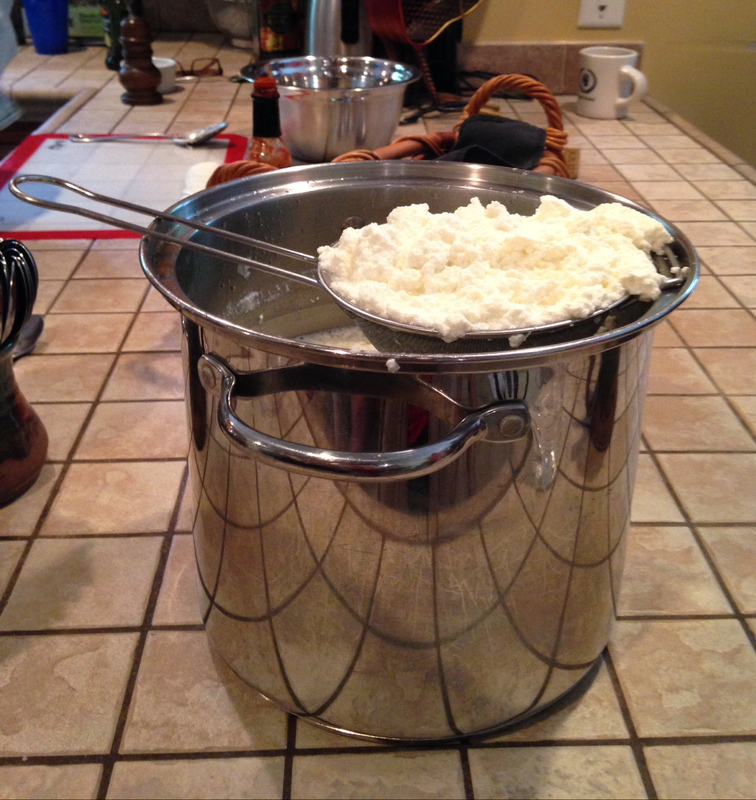 Making butter with goat milk won’t be easy..the cream doesn’t separate much. 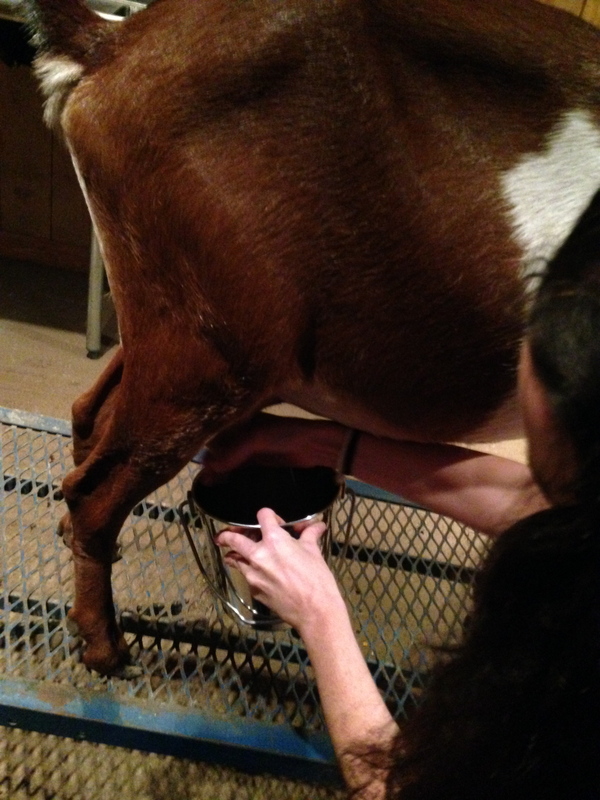 Goat milk is naturally homogenized. this is a pretty cool idea. 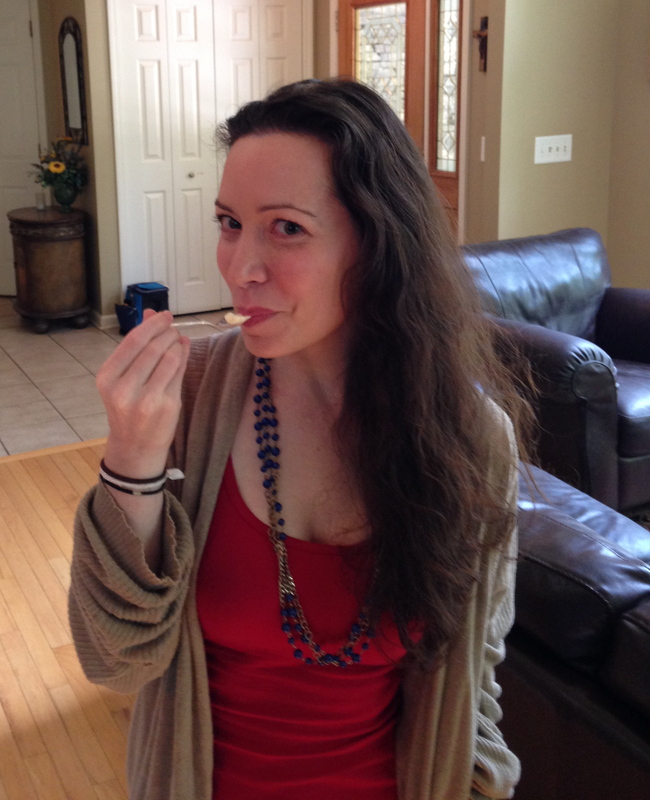 if you are in Chicago, St. Louis, or Denver, you can do 52 things in 52 weeks at http://www.dabble.co. If Dabble isn’t in your town, start it up! Good for you! Cheesemaking is very satisfying.